Being an adult is hard, am I right? There’s so much working, bill paying, and Instagram scrolling — the demands are truly endless. But somewhere between my marginal responsibilities, I like to make time to eat. Specifically: Cook. And when I do, I prefer my meals to be fast, flavorful, and most importantly: hella efficient. 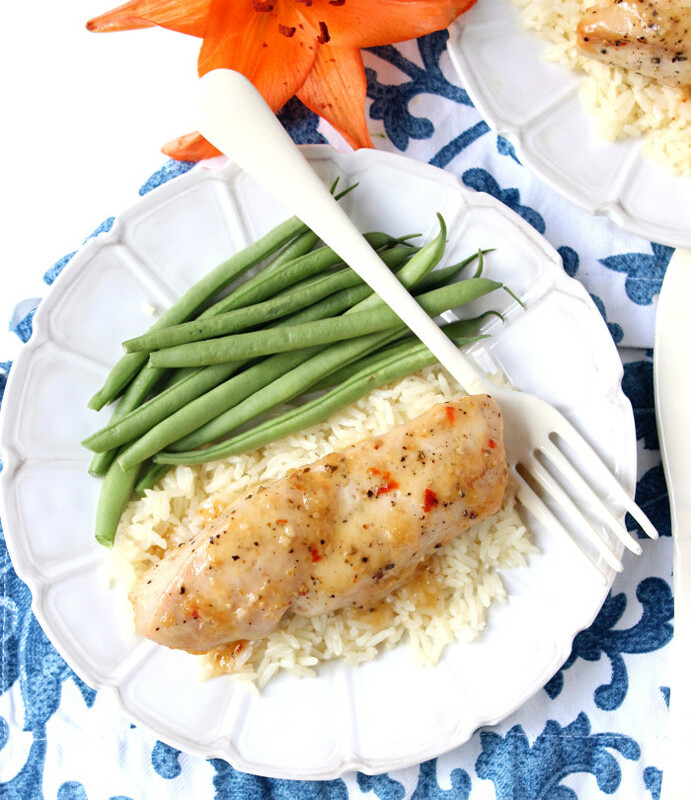 So with just two ingredients, it doesn’t get much simpler than this zesty Italian chicken. And it bakes in just 30 minutes. Growing up my mom used to make this recipe frequently, so I’ve been enjoying it for ages. 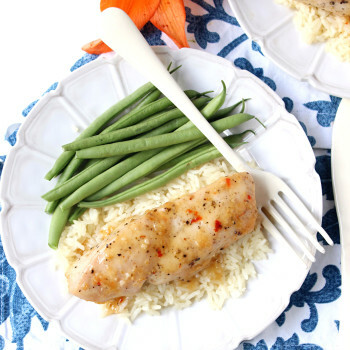 You start by salt & peppering boneless, skinless chicken tenders inside a baking dish, then pouring over with Wish-Bone Zesty Italian Dressing. Marinate for 30 minutes (or all day, if you prep this in the morning before work!) then bake for 30 minutes more. In no time, this flavorful, low-carb dinners comes together in a cinch. This dish can easily be scaled down just for two, but I’d strongly suggest taking the big-batch approach and make this as directed, with a whole pound of chicken. Not only do leftovers heat up seamlessly even days after cooking (plus still taste crazy amazing), but this is just TOO easy not to make in bulk. 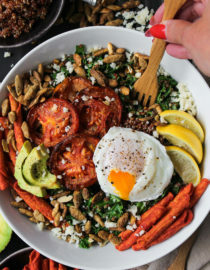 Like, you should be eating something this simple all. the. 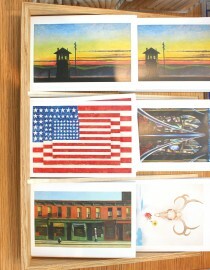 time., so go ahead and make a whole bunch. I like to pair this with a simple steamed veggie and a side of rice or quinoa, but if you’ve got some leftover mashed potatoes, pasta, or just want to double-down on your veg game? 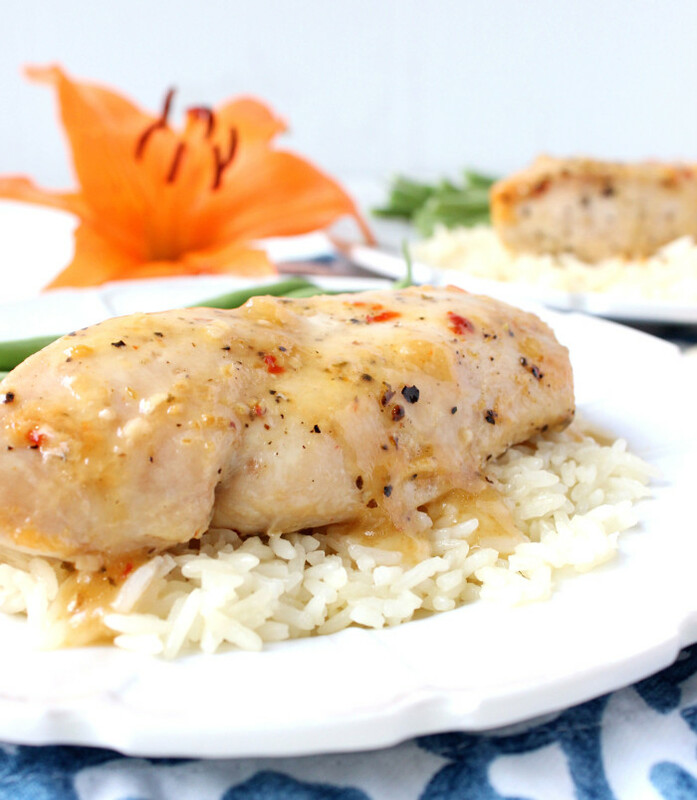 Go right ahead, this chicken teams nicely with pretty much anything. 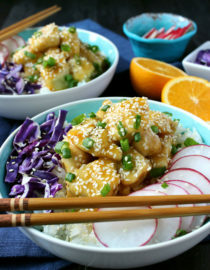 And when this becomes your new weekly, go-to, gotta-have-it dish? Yes, you can absolutely come back and thank me. On cutting board lightly season chicken with salt & pepper on either side. 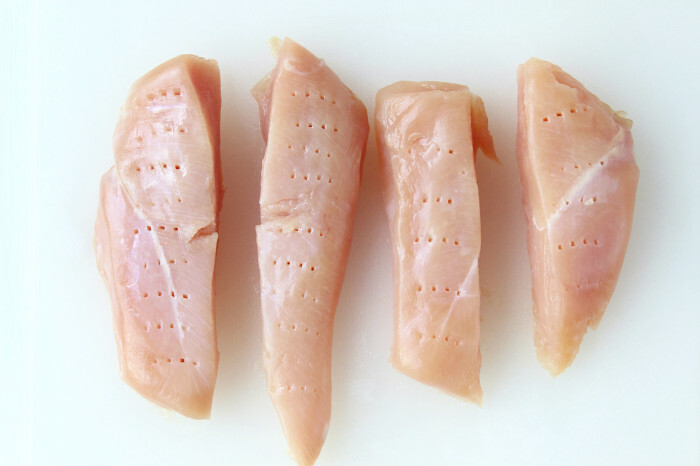 Next, using a fork poke holes into each breast/tender, about 5 – 6 per piece (eye ball it depending on thickness). 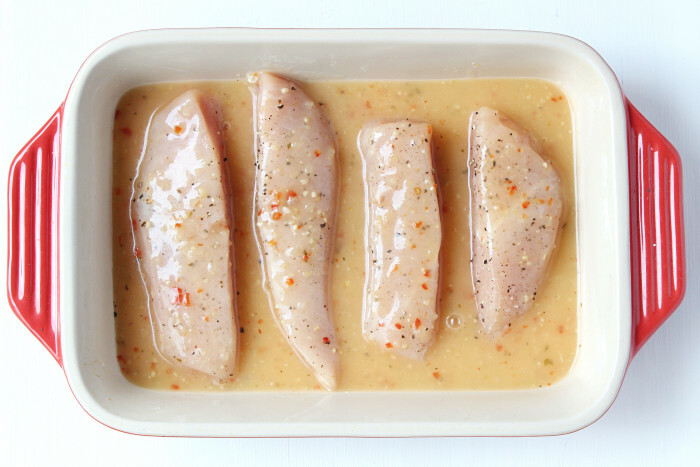 Transfer chicken to oven-safe baking dish, then pour over with Italian dressing – Place in refrigerator to marinate for 30 minutes. 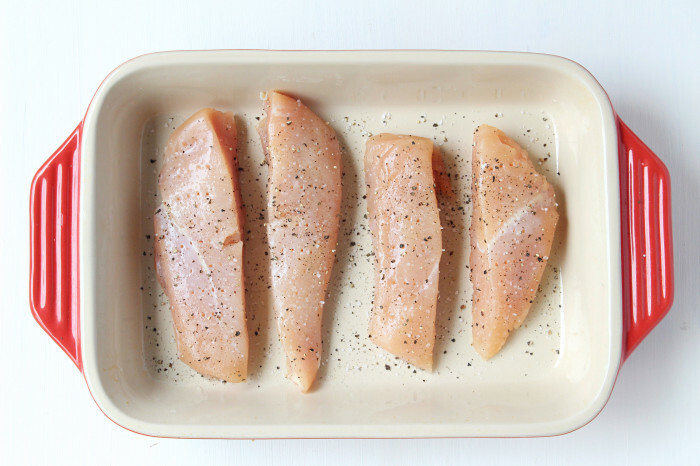 When ready, bake chicken for 30 minutes until completely cooked and no pink parts remain. Drizzle over with sauce from pan, then immediately plate and serve. 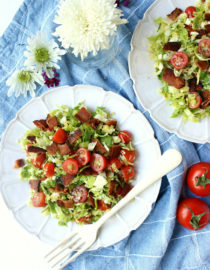 Pair with extra dressing on the side if desired. 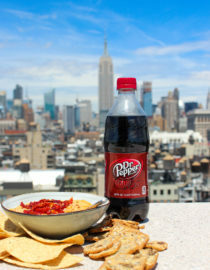 Rooftop Picnic w/ Dr Pepper! Now this, my friend, is weeknight perfection. Flavor and ease and, best of all, never letting your family know the difference!! that’s so great Cara!! thank you for sharing – I hope you find more recipes to love! I have made a lot and I add fresh sliced mushrooms and onions and a little Worcestershire sauce… wonderful!!! 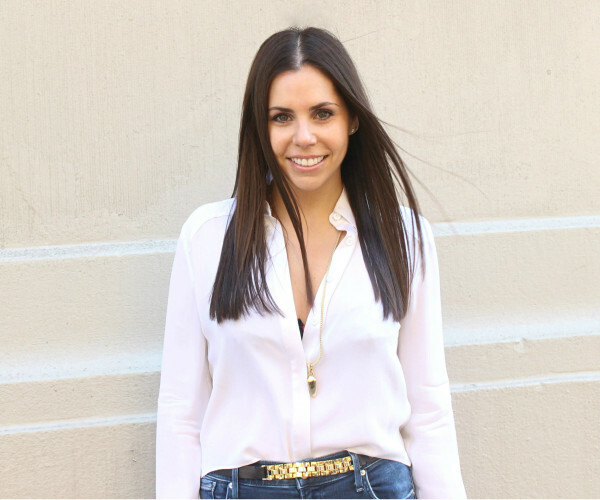 that’s awesome Regina, I love hearing these kind of success stories! Do you bake this uncovered? A long time ago I was invited to a friend of a friend’s house. It was getting late and our hostess invited us to stay for dinner. I remember her going into the kitchen, coming out out almost instantly and saying dinner was in the oven and would be ready in about half an hour. It was, and it was delicious! When I asked for the recipe she said she had just poured a bottle of italian dressing over the chicken and baked it. I had forgotten about it, until now. I was thinking, that there surely must have been more to it than just pour and bake. But if this is the same recipe, I can’t wait to find out. I cooking it tomorrow! Is it ok to marinate longer than a half hour? Thanks! Also, thanks for the recipe! Looking forward to it! Do I cover it to bake?? Can it be made in advance and frozen? 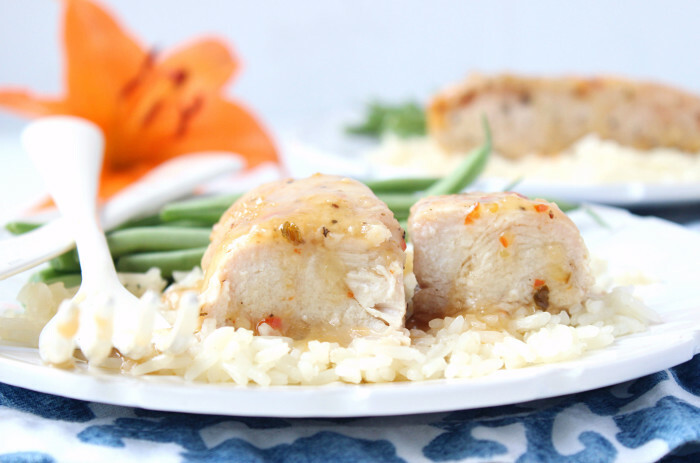 I have used this recipe hack often over the last few years, not just with chicken but with pork chops too! 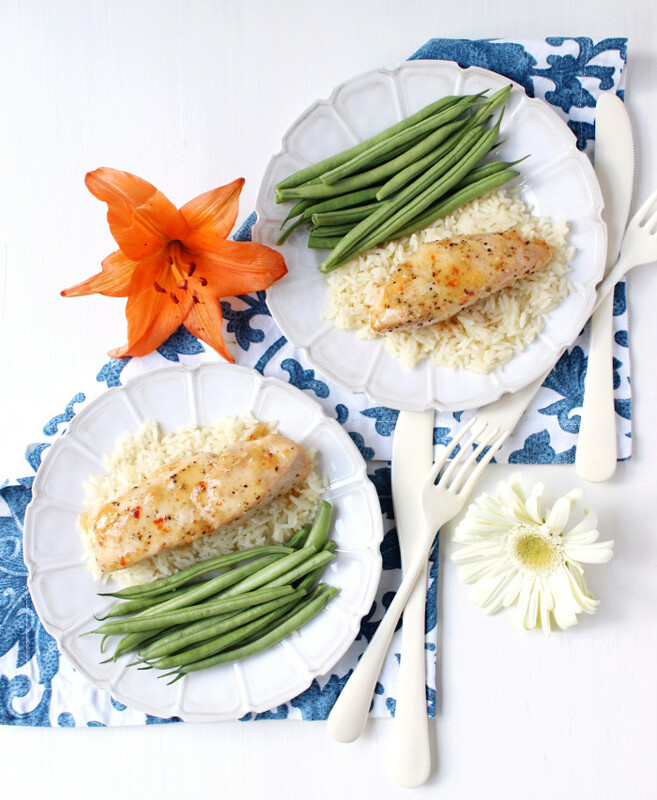 It’s always a hit with my kids, and I’m able to have dinner on the table in less than an hour. I usually throw the dressing and whichever meat I am cooking into a dish the night before I plan to cook it so it has time to soak up as much flavor as possible. When I get home from work I throw it into the oven, put the potato’s and beans on the stove, and 45 minutes later dinner is served! Definitely a go to for this busy single mom!!! Can penne pasta be included in this recipe and still be a one pan dinner? I’ve never tried this, but I don’t see why not! I made slight adjustment since I used a large/thIck chicken breast. I seared in pan first to brown then put the same pan in the oven as mentioned and just before it was done I added a slice of prosciutto that I had leftover from the deli and topped it with thick slice of mozzarella.. Gotta say it was awesome!!! If anyone has cooked this in an electric frypan or skillet, please advise how long to cook and at what temperature. Thanks! 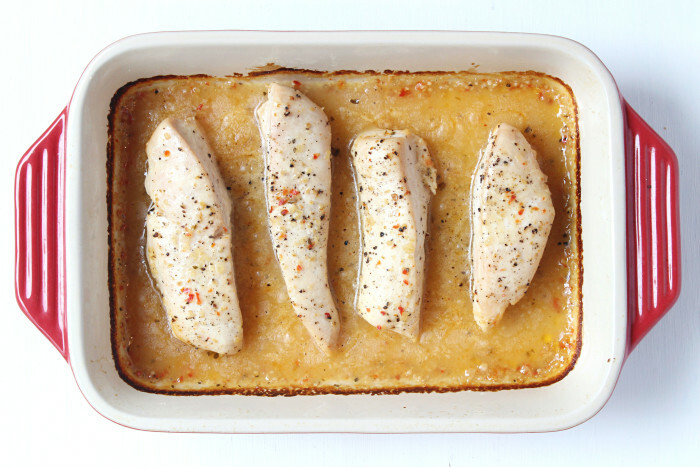 Do you bake with all the Italian dressing in pan as well as the chicken or transfer just the chicken itself and bake? most of the dressing — I like to leave some extra on the side for dipping.